Polonnaruwa Sri Lanka | Visit The Amazing Ruins Of This Historical City! Japan Beaches – Although many people will be traveling to Japan at some point to experience the rich culture, delicious food, and interesting wonders the small island country provides, others may just want to relax and enjoy their time. What better way to relax than heading over to the nearest body of water and enjoying some fun in the sun? As an island country, Japan is surrounded on all sides by water, and as such has a plethora of gorgeous beaches to choose from. With numerous activities available in and around the water, such as sunbathing, tanning, snorkeling, swimming, surfing, and paddle boarding, there’s plenty to do and lots to see. Climates differ between the northern and southern regions of Japan, and as such each beach has an ideal time to visit; don’t worry, though, because I’ll be telling you exactly when that is. Tomori Beach made this list because it’s both beautiful and not as crowded as many other beaches in the area. 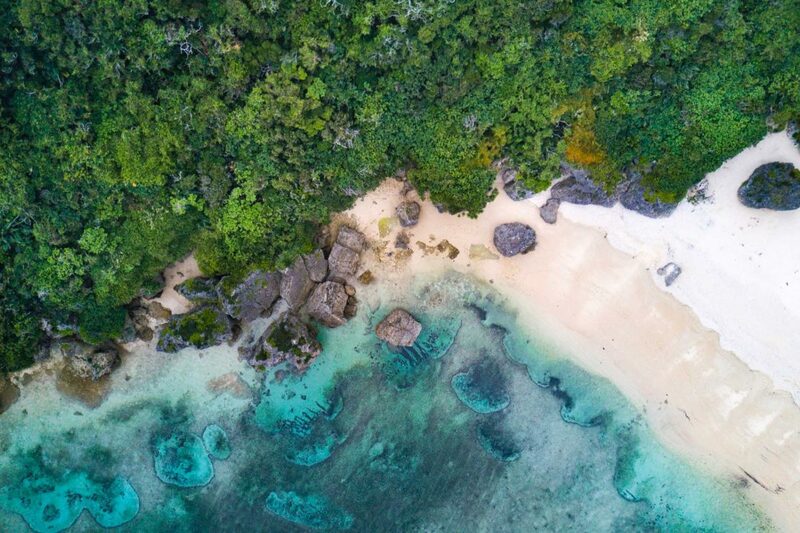 The clean, white sand is perfectly paired with the clear blue water, and both offer great opportunities for swimming, sunbathing, seashell hunting, and snorkeling. The showers and bathrooms are located right before you enter the water for convenience, and the beach is often considered one of the best beaches on the island. 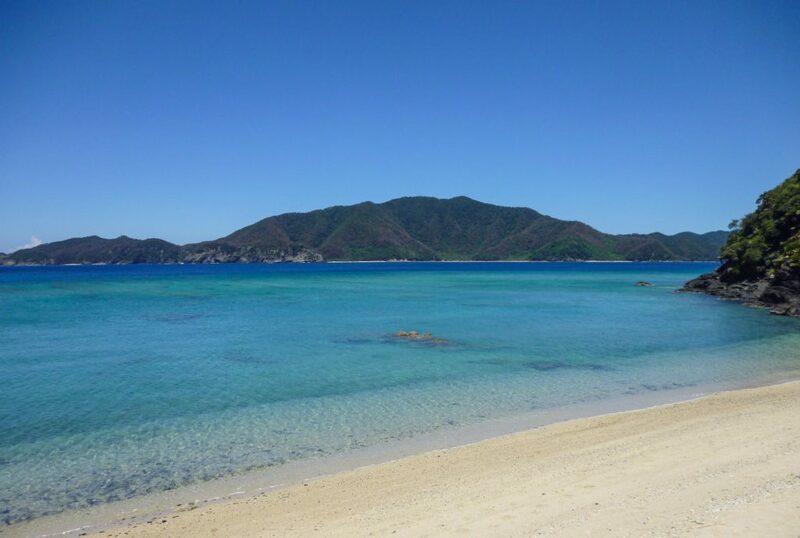 Tomori Beach is located in Amami City, Kagoshima Prefecture, about 4 kilometers north of the Amami Airport. The main entrance of the beach is just off the 601 road, and is easy to find if you follow the signs. It’s located conveniently between the Sakibaru and Ose areas, and is easily accessible on foot or by car. There are also local buses that run along the road and stop very close to the beach. Since the area experiences mild winters, it is possible to go to the beach year-round, though summer is usually best. To stave off the heat of the sun during the hottest season, it’s advised to travel to this area between July and September. If you’re more into surfing or snorkeling and have appropriate swim attire at the ready, you can enjoy looking at the local tropical fish, sea turtles, crustaceans, and other sea creatures well into the fall season. If you’re looking to stay a while in the area, Coral Palms is one of the best places to stay. You can take a shuttle right from the airport to save time and effort and enjoy the many amenities they provide. As an added bonus, the beach is only a six minute walk away. For those who want to sample traditional Japanese cuisine, there is a delicious buffet available as well. Rest your weary head in peace after a long day at the beach at Coral Palms. Being one of the most popular beaches in Japan, a trip to Tokyo wouldn’t be complete without stopping by Katase Nishihama Beach. You can get the best of both worlds by being able to play and have fun in the sand and surf while also taking in gorgeous views of Mt. Fuji and other mountains in Hakone. Whether you’re visiting in the early morning, afternoon, or at night, the sights are just as beautiful throughout the day. Katase Nishihama Beach is easily accessible from nearby stations and beaches. In fact, Katase Nishihama Beach is only an eight minute walk away from Katase Higashihama Beach. You can also reach the beach on foot from the Katase Enoshima Station (a five minute walk), the Shonan Enoshima Station (a 20 minute walk), and the Enoshima Station (a 15 minute walk). The best time to hit this beach is generally during the summer when the temperatures force people out into the water. That being said, the beach does generally get quite busy around the summer season in Japan, and it might be better to visit with less people in late spring or early autumn. Those who want to visit the beach for its photogenic scenery aren’t limited so much by the weather, and as such can visit year-round. For those who want to splash in water that isn’t freezing cold, visiting in or around summer would be best. 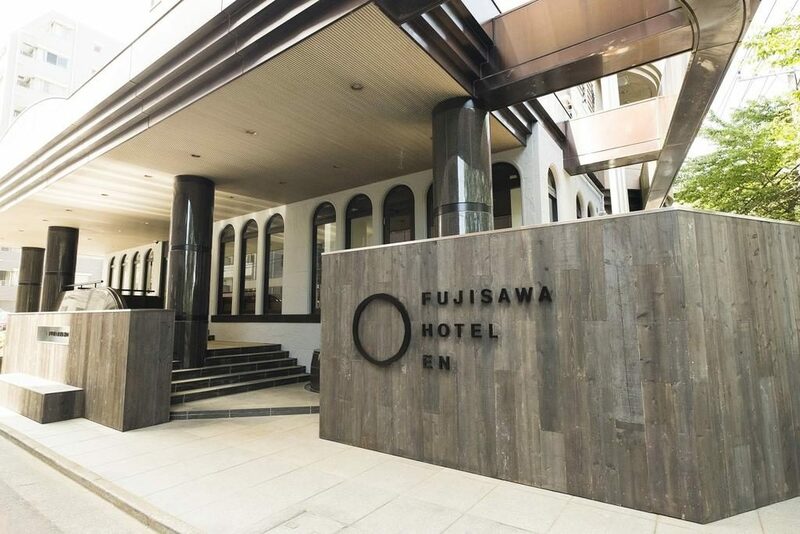 Just 20 minutes away by tram is a lovely place where many who visit Katase Nishihama Beach prefer to stay: Fujisawa Hotel En. This posh hotel comes complete with flatscreen TVs in every room, as well as a fridge, electric kettle, and basic amenities. They also offer a complimentary free breakfast to all guests. A diamond in the rough, Sunayama Beach is a well-kept secret hidden on the outskirts of Miyakojima in Okinawa. Many locals know that it’s a safe, quiet beach for people to enjoy and relax on, but many tourists never find out about it. Although the island has many dangers, there are special nets set up to protect those enjoying the beach from jellyfish and water snakes. This beach is also a great place to interact with locals and immerse yourself in Japanese culture and community. 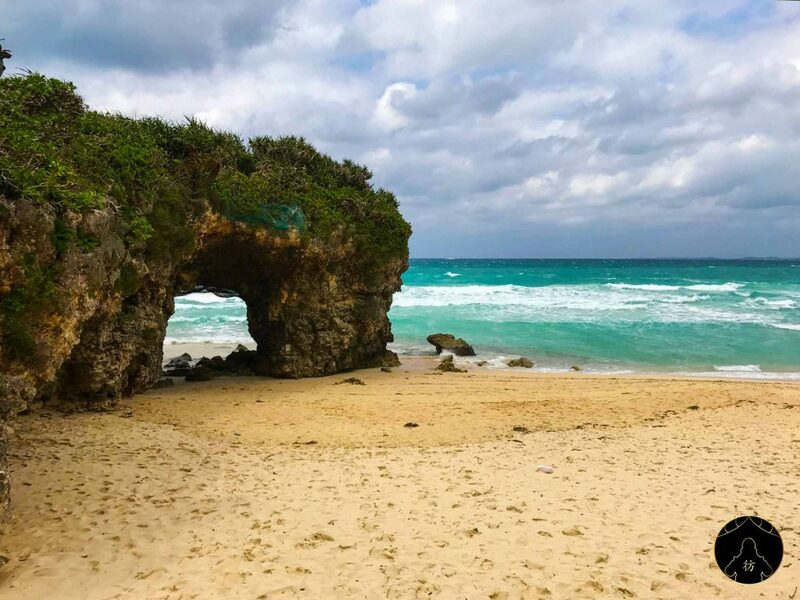 Sunayama Beach is located a short distance away from Miyakojima City Hall on the northwestern end of the island, close to the Miyakojimashi Central Community Center and Okinawa Prefectural Miyako Hospital. The nearest bus stop is only a short 10 minute walk away, and the entrance is easily accessible from the 390 road by car. The best time to utilize this peaceful, relaxing beach is mid spring to later summer. The warmer the weather, the more people will likely be traveling to Sunayama Beach to enjoy its natural beauty and calm waters. If you prefer less crowded beaches, it’s advised to brave the cooler waters before or after summer, though the Sunayama Beach is hardly ever overcrowded. 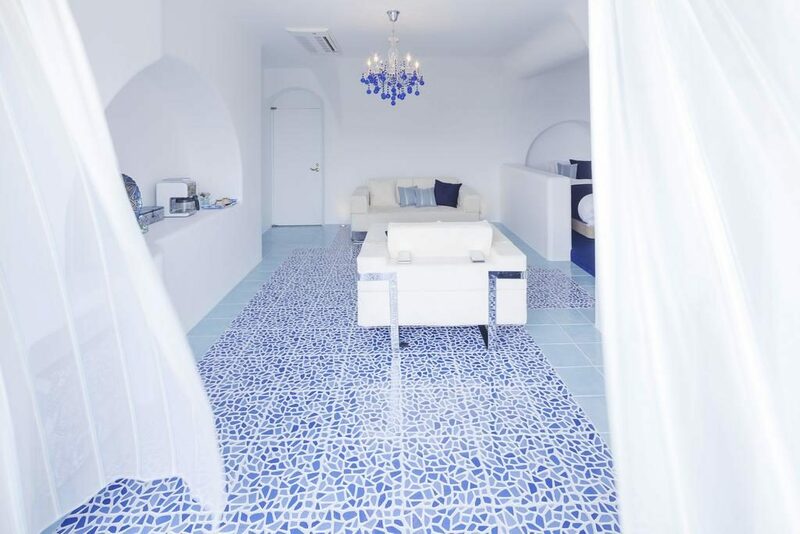 If you really want to get the most out of your experience at Sunayama Beach, it’s recommended that you enjoy a stay at the Crystal Villa Miyakojima. 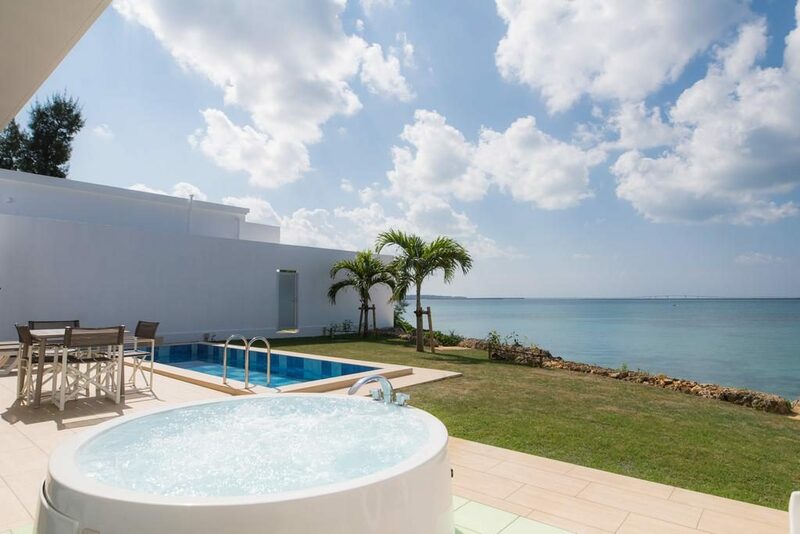 These amazingly beautiful villas are a delight to stay in, and are furnished with private pools, hot tubs, spa tubs, terraces, and spectacular ocean views. For a truly relaxing experience at one of Japan’s safest beaches, Crystal Villa Miyakojima is a must. If you’re interested in a relaxing spot to spread out a blanket under a few palm trees, Tiger Beach is your best bet while visiting Okinawa. Along the beach are resorts and restaurants for those who want to grab a bit to eat between searching for seashells and relaxing in the sun. The water is great, but people generally go to this beach to walk around and enjoy the lovely sights Japan has to offer. Tiger Beach is located in Uruma City just off of the 58 road north of the Maekaneku Fishing Port. The large PGM Golf Resort splits the 58 road into two, so be sure to stay on the road closest to the ocean to find the entrance. 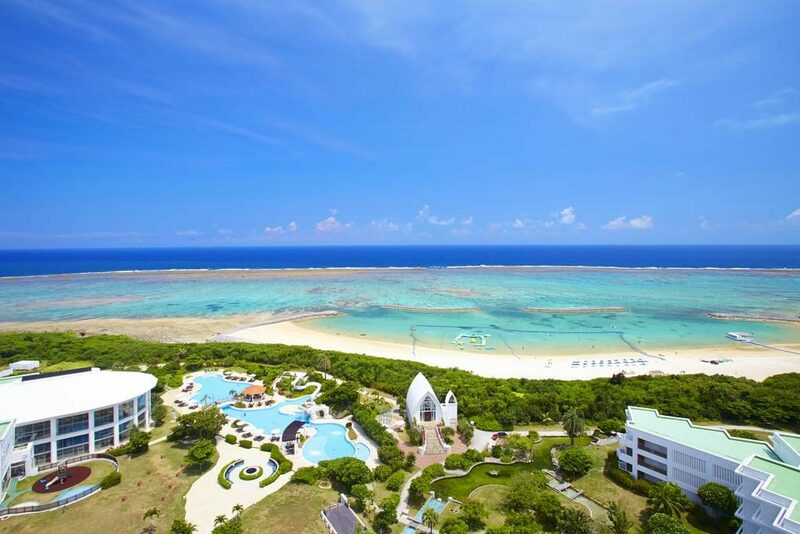 Nestled between Nago City and Okinawa City, Tiger Beach is truly a special find. The best time of the year to enjoy the beach has to early summer when the seasons are just starting to change. Many tourists come to visit the beaches and resorts in the area around mid summer and early autumn, so if you want to beat the crowds you’ll have to come early. Since the water is a bit too shallow to enjoy a good swim, it is possible to visit the beach year round if you simply want to enjoy the sights and soak up some sun. 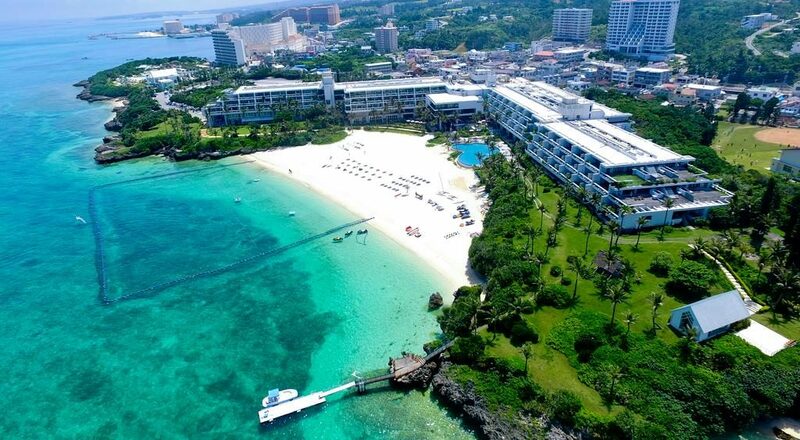 The best and most popular resort in the area is the Hotel Monterey Okinawa Spa & Resort. 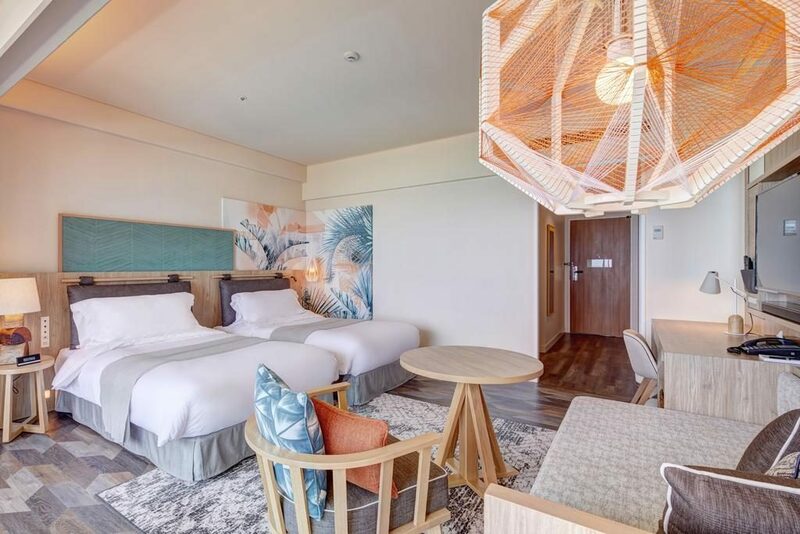 With direct access to Tiger Beach, this resort is located in the perfect spot for a relaxing weekend away or road trip with friends and family. You can also book snorkeling, diving, or banana boating trips through the hotel to further your experience during your stay. Measato Beach is a perfect representation of everything everyone loves about Japan: clean, beautiful, and easily accessible. The sand sparkles under the sun, the water is clear and cool, and the sights are more than enough to satisfy even the most avid photographer. Lifeguards are stationed at the beach during busy seasons, parking is free, and facilities such as showers, changing rooms, and bathrooms are provided. The beach is very private, and a favorite amongst families with children. 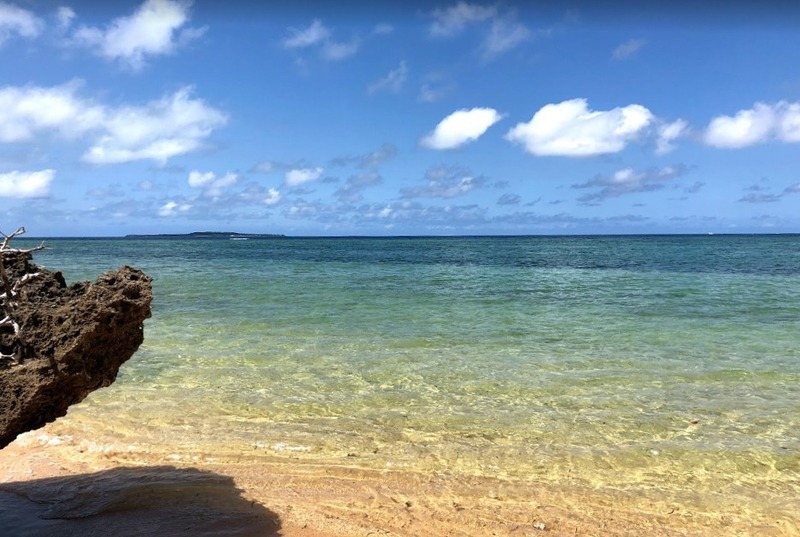 All beaches on the island are easily accessible by bus, and thankfully Maesato Beach is close to the Ishigaki City Office at the southern end of the island. It’s roughly a 25-minute drive from the New Ishigaki Airport, 10 minutes away from Ishigaki Port, and 25 minutes away from Banna Park. The Ishigaki Public Market is only about 3 kilometers away as well. Although the beach is open year-round, there are on and off seasons. Many tourists visit the beach during the peak summer season, though some prefer the cooler weathers of autumn and spring instead. The beach is relatively empty in the winter, though some do still visit to search the sand for shells and take in the beauty of the land. 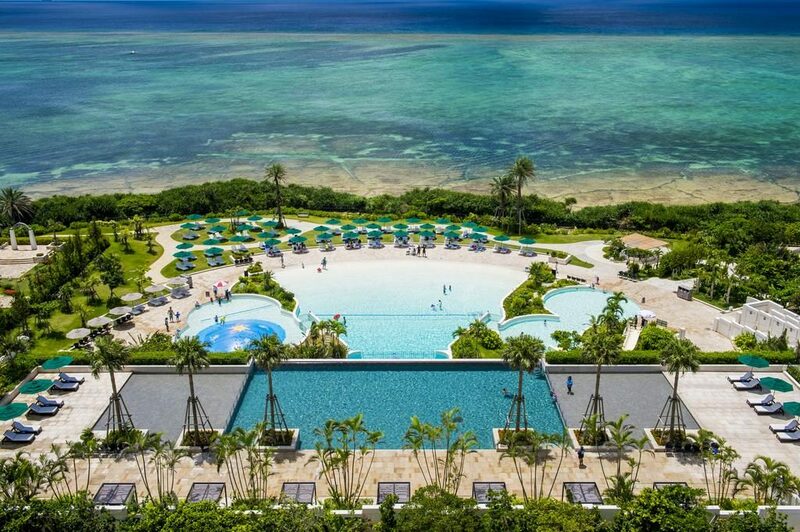 The best resort to stay at near the beach has to be the ANA Intercontinental Ishigaki Resort. Their friendly staff are always ready to help, and families report having great experiences with every facility found at the resort. 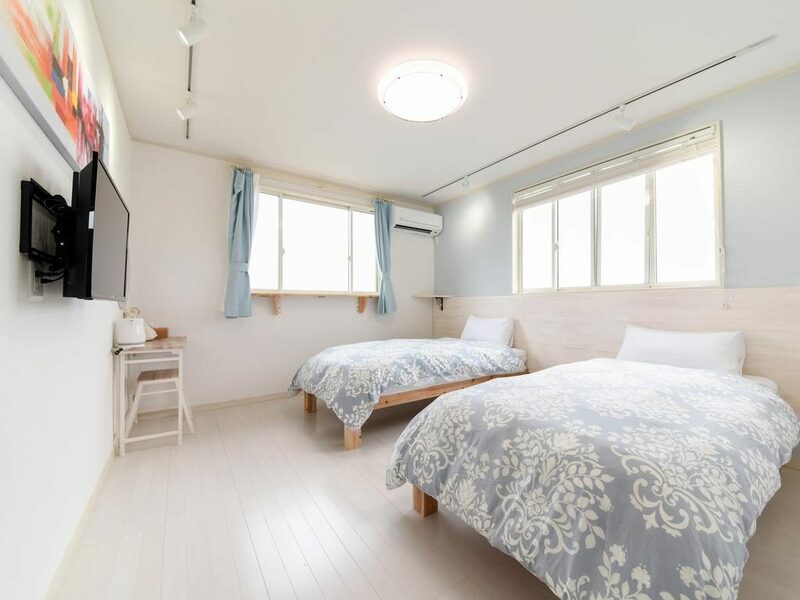 The rooms are spacious and filled with all the amenities anyone could ever wish to have during a relaxing vacation to Ishigaki. Said to be one of the best beaches in Shizuoka area, Shirahama Beach is as beautiful as it is functional. Surfers often visit the beach year-round to catch some amazing waves, though swimmers enjoy the clear waters as well. Umbrellas and swimming equipment can be rented at the entrance of the beach, and there is a 7-11 is close by for snacks, refreshments, and boxed lunches that can be enjoyed on the beach. Shirahama Beach is easily accessible by bus. 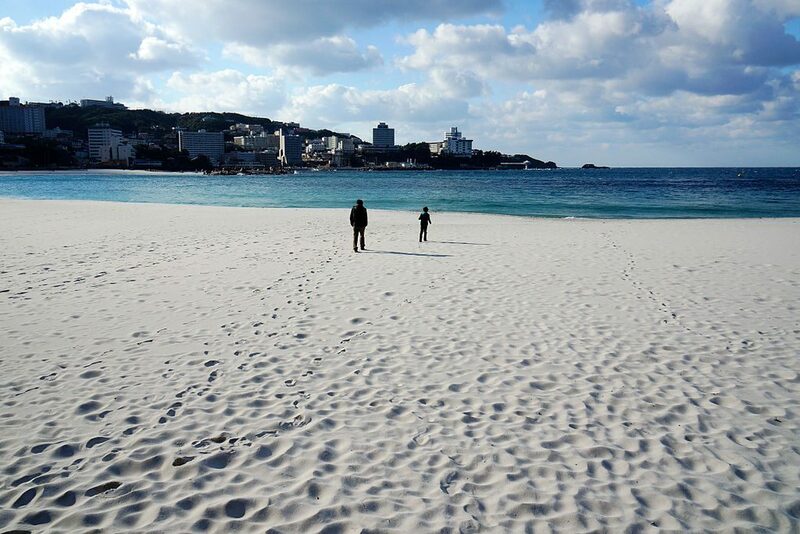 Just take the bus from stop #9 at Shimoda Station and in 10 minutes time you’ll be walking through clean, beautiful sand. You could also take a 12-minute bus ride from Izukyu Shimoda Station. People feel that this beach is too cold to properly enjoy until the warmer mouths of summer around August and September. Though the water is said to be too cold during June, the beach tends to start warming up in July. After September the temperatures drop quickly, so it’s important to either be comfortable with colder waters or come when the weather is warm and sunny. If you’re looking to stay close to the beach, why not choose one of the best places around to enjoy your time? The Sea Shell is located 4-minutes by walking from Shirahama Beach and includes a terrace and pool. The on-site restaurant has Western cuisine, and each room is spacious and lavishly decorated. 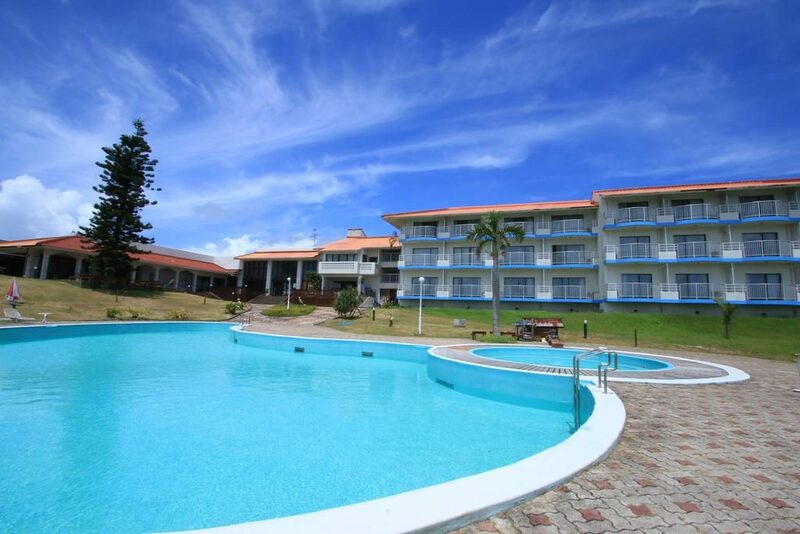 There are also numerous amenities provided. The hotel is only a 10-minute drive from Shimoda Station, so it’s very easy to get to and from. 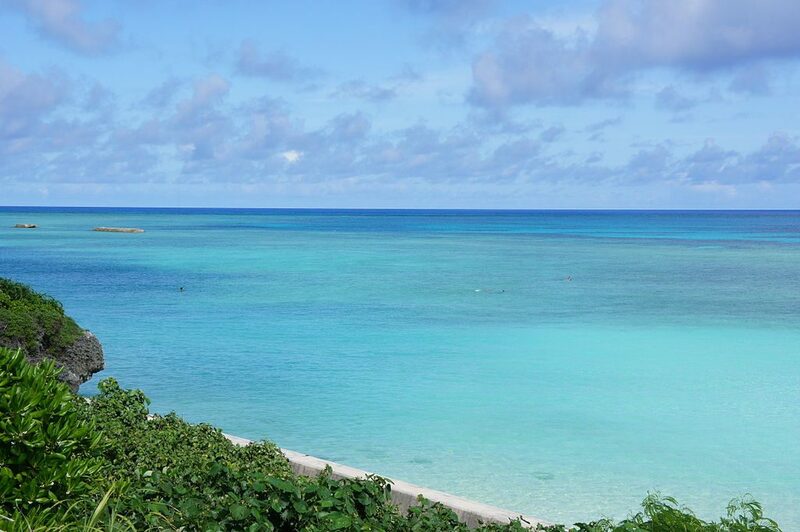 Located in Taketomi, Okinawa, this gorgeous beach is part of a historical walk that stretches around the entire island. It’s the perfect beach for snorkeling, fishing, and relaxing. It’s accessible by climbing over a wave break, which gives it an added level of privacy. The sand is clean and soft, and the water is simply gorgeous to view. Tucked into the northwest side of the island near Mt. Uehara, Maruma Beach is one of the many beaches that can be reached by taking the 215 road. The beach is nestled between a car rental agency and a canoe and kayak store with roads leading straight up to the beach. There are numerous dive shops around as well as several souvenir stores. The island is easiest to navigate by car, but has rental bikes and convenient walking paths to help facilitate easier travel. If you’re feeling even more adventurous, you can also opt to get around by water buffalo drawn cart. Although the temperatures are best for swimming in the summer season, there are warnings against going out too far into the water due to Habu Jellyfish that prefer to hang around the island from June to October. That being said, the beach is still fun to enjoy all year long. The closest and best accommodation to Maruma Beach is Villa Iriomote, which has balconies with views of both the ocean and the luscious scenery of the island’s natural flora and fauna. The villa is located near the harbor, allowing a beautiful view of incoming and outgoing boats making stops at the island. All the rooms are stocked with various amenities, and guests can enjoy a wide variety of cuisine at the onsite restaurant. These are the 7 beaches that made this list, but rest assured that there are plenty more around the island country of Japan for everyone to enjoy. For your next trip to Japan, don’t forget to bring a towel and a bathing suit. If your destination is close enough to any of the beaches listed above, don’t hesitate to check them out. No matter where you find yourself, you can be sure to have an amazing time enjoying beautiful Japan beaches. PS: Another amazing spot for beaches is Zamami Island in Okinawa. Feel free to read this blog post for more info: Zamami Island Okinawa. Excellent website. Informative and useful for planning a trip to Japan. I found some interesting accommodation suggestions. However, under language options there should be a British flag. One doesn’t speak American one speaks English.